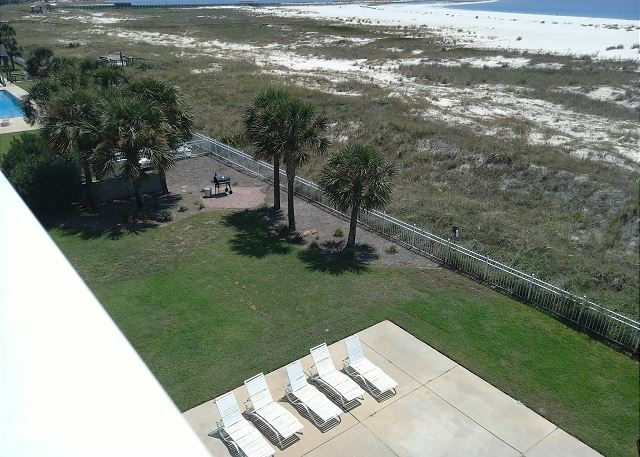 This 4th floor 2 bedroom, 2 bath unit sleeps 6. 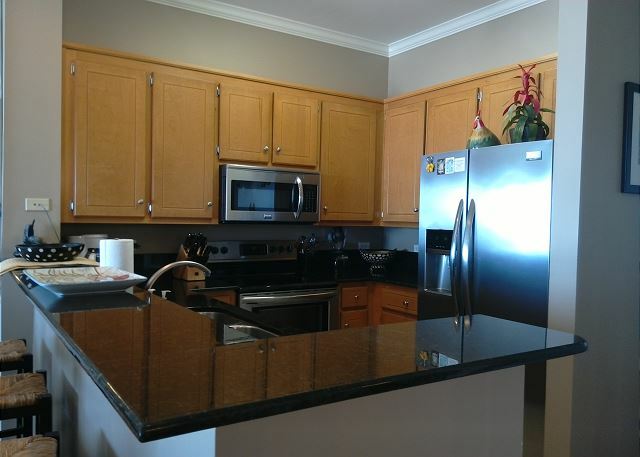 Fully equipped kitchen including granite counter tops, stainless steel refrigerator, stove, dishwasher and microwave. King size bed in master bedroom, TV. Second Bedroom: Bunk Beds: 1 Twin bed, 1 full bed, TV. 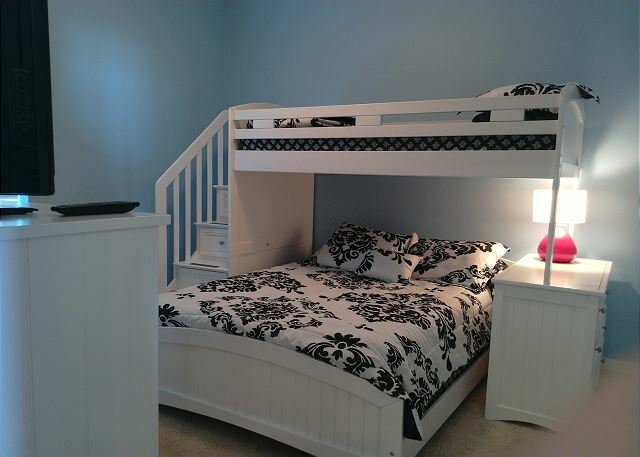 Rooms Sleeps 6, King - Master Bedroom; Bunk Beds in second bedroom with Full bed on bottom and Twin on top; Pull-out Twin Chair in Living Room. 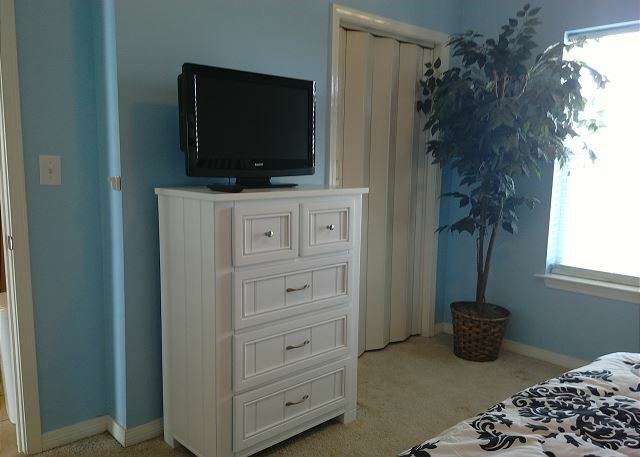 KAREN S from Minot, ND does not recommend this vacation rental. Loved the island. It’s like living in a small town. The beach is net and sunsets are amazing. Will go back again. Received a new grill in less than an hour ! The Inn - The Best!! We stay here over and over! Our home away from home! Great location, beautiful view! Spacious and comfortable! Loved our stay. The air conditioning units were a little loud but we with the 100 degree temps we prefer the air! We have always enjoyed our little visits to the island, and this time was no different. 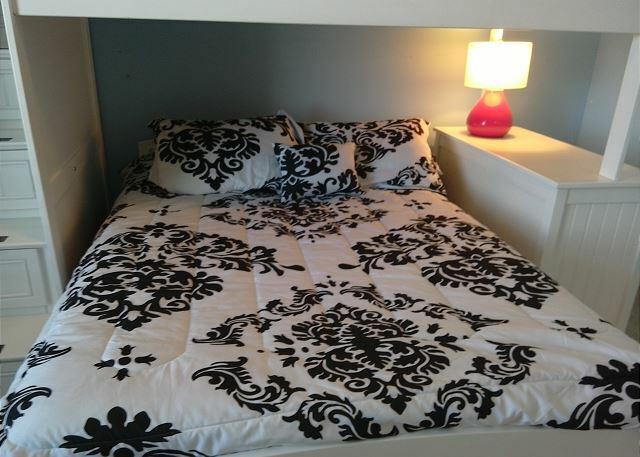 Our unit at The Inn was clean and comfortable for a family of 5. Although the condo was supplied with many everyday necessities, the list of suggested items to bring came in handy. 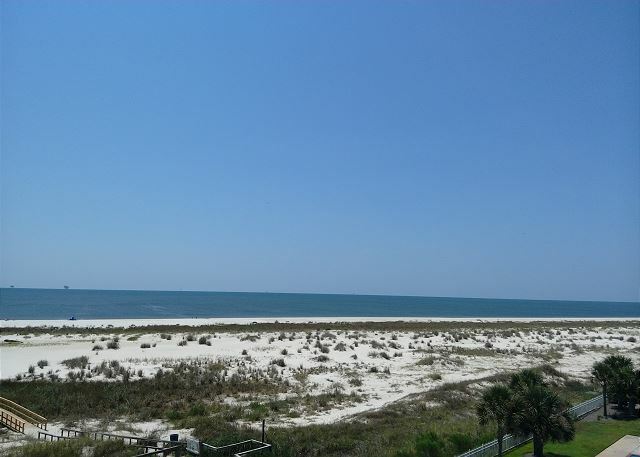 We enjoyed the fact that there are two pools and the Gulf is a short walk over the boardwalk. 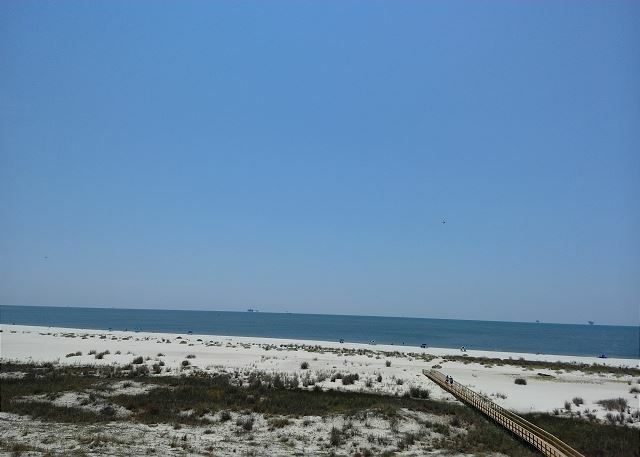 Dauphin Island offers just enough activities and attractions to escape the hustle and bustle of everyday life. The island is rich with history and the addition of The Little Red School House Visitor Center and Museum was perfect. We look forward to our next adventure at The Inn. There were things that were out of control of the property management. Some guest chose to break the rules after hours. One guest let their two dogs do their business all over the grassy area inside the pool area every evening and never bothered to pick up after them. Even with the No Pet sign clearly posted. We were told the entire building was smoke-free except in designated smoking areas. I never saw those areas. One day by the pool one guest was ashing on us from their balcony while we sat below on the pool deck. Again, we know these were incidents that were beyond management's control. Overall it was a very good vacation! WE love the simplicity of the beach and location. However the condo could have been a little better kept (this is our 3rd visit - first 2 visits were at the same unit and much better in terms of maintenance). 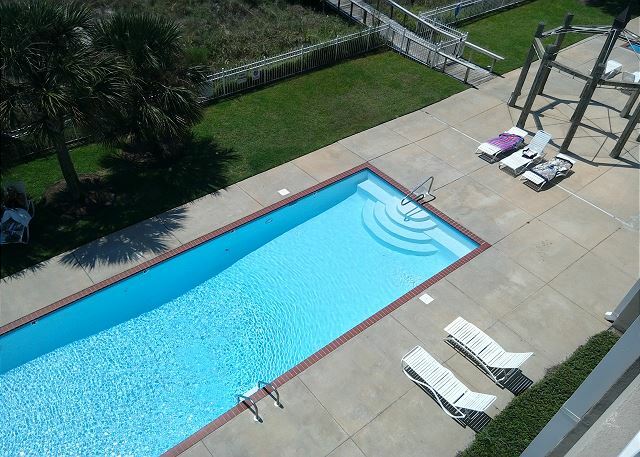 Pools are great and location on beach great! More beach wildlife/awareness should be available to customers (i.e., what not do leave on the beach). Knapp, The Inn #404, July 2018. We were very pleased with #404. Being on the 4th floor is the best. Moreover, the staff was very pleasant and helpful including comi9ng in to help us on a holiday when we locked ourselves out. There were a couple of issues that need attention. The towel racks in both bathrooms need re-setting. the front door does not always close on its own. The living room carpet needs a thorough cleaning. In all, we had a great time and we'll be back next summer. We were very pleased with the unit and the area. 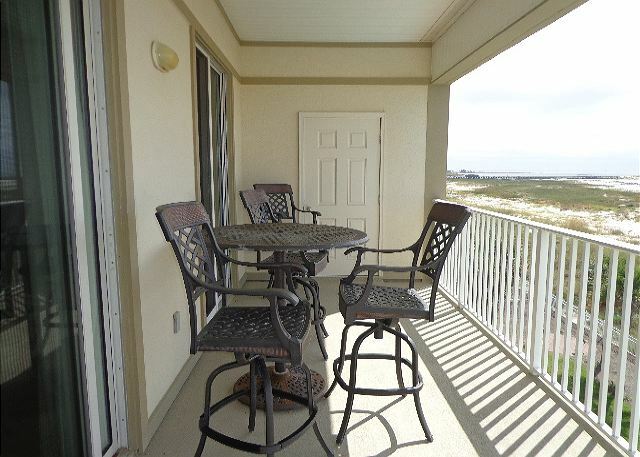 The unit was clean, and we enjoyed the patio as much as sitting on the beach. Definitely on our return list. Very pleasant and relaxing. Staff was friendly. I had a fantastic time. The condo was clean and well stocked with towels and such. The bed was comfortable and the view was breathtaking. Very Pleased with this property!! 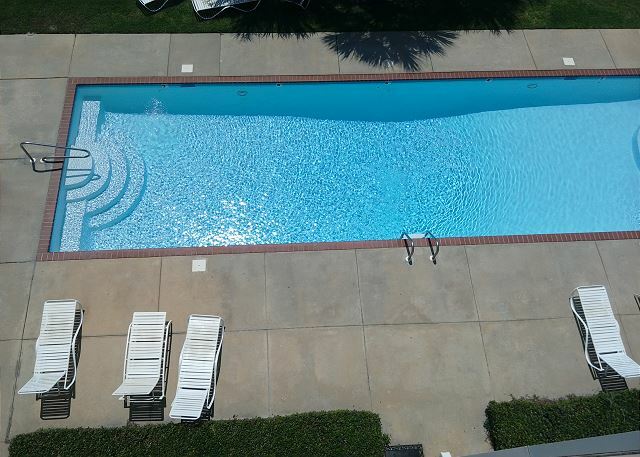 This is a clean, well-furnished and supplied condo that is also currently on the market to be sold. The bathroom fixtures and noisy bath fans need to be updated. The master bed mattress, while comfortable, does squawk and squeak when you move around, possibly annoying a sleeping partner. We have stayed here twice; nothing has been upgraded since we last stayed ~ 2 years ago. Nothing here is a deal breaker, it is just annoying when forking over the price of a week's stay. Very pleasant staff at The Inn, and we have stayed there 5 years all together now, in different units. We like the top floor (4th floor) for privacy and view, but it also has some of the older fixtures in some units. Hurricane damage has caused most of the lower two floors to be upgraded in the past, but they are closer to the noise of the swimming pools on busy weeks. We happened to pick a week when Hurricane Harvey was dropping record volumes of rain in the Houston area. We had quite a bit of rain and wind but we still had a nice week. The unit was great for our needs and the managers were very kind. They sincerely wanted us to have a good time. We will go back. My stay was wonderful. The unit exceeded all expectations. The beach was great. Great little island. 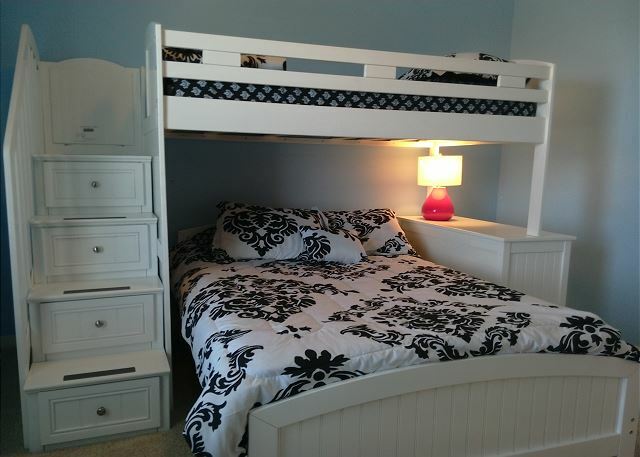 Kids loved the bunk beds- twin top/full bottom. Great pool - very warm like bath water. Bar stool height nice on the patio. Easy walk to beach. Thanks for a wonderful week! a guest from Avon, IN does not recommend this vacation rental. Room 404 was very clean, neat and had everything we needed. Great views! Pool was great! Wonderful condo, just as nice as last year , Looking forward to next year!! It was very clean and very comfortable. My family and I enjoyed our visit and will definitely be back! We've found our new favorite place! Very nice. Much better than the pictures. As the title says this was our first trip to the island. My wife and I enjoyed our trip very much. The condo was everything we needed it to be. 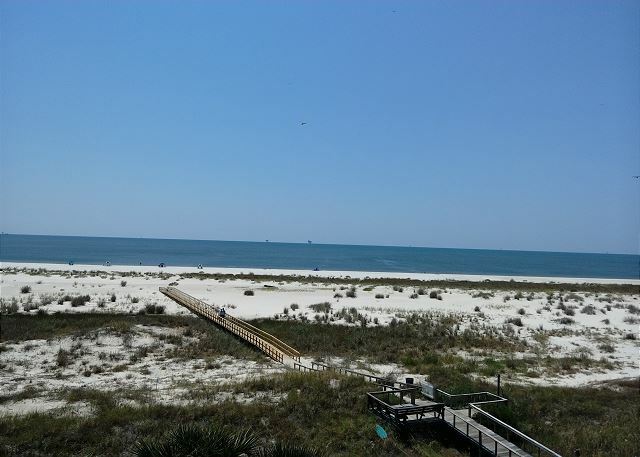 A great view of the gulf, clean, well supplied and overall in great condition. The only thing I noticed that was somewhat distracting was the noise level of the AC units outside. It was a constant sound but not so loud that it was a bother just annoying when you were around the pool or on the deck. Everything about our vacation at The Inn - Unit 404 was awesome! The room was clean and up-to-date. The staff was wonderful. The pools were great. The beach was clean, not crowded, and didn't have a bunch of party-people, just families. Remember when I booked I was not totally sold on it from the pictures available. Picked it because of lack of availability and the kitchen looked nice. 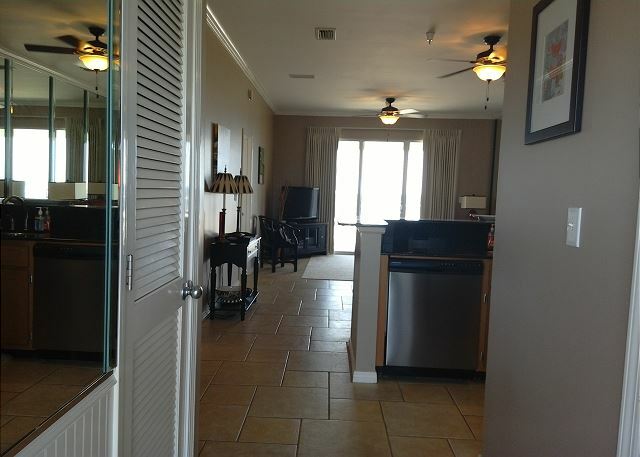 The whole condo is very nice and done very well. Beds are comfortable. Clean. Plenty of space to entertain. Beach access is awesome. Large balcony to hang out or bbq. Absolutely amazing stay! Condo was perfect and staff went above and beyond. Planning another trip soon. We are from Alabama but live in New Orleans now. We wanted to get away for the weekend so we decided to visit the Island! We had a great time and will definitely be back soon!! The experience at the Inn was very good. No complaints whatsoever. There were a few minor maintenance issues with the room, like one of the towel racks in the master bath was missing, and the brackets and remotes for the ceiling fans were missing and some brackets were broken. We did birding on the island and it was great. The food and restaurants were excellent, especially Skinners right down the road from the Inn, where you can get fresh fish and shrimp take out steamed for a very reasonable price. Check in and out was simple and the Inn wasn't too crowed and it was quite. The condo was very clean. The gate with key pad to enter the property was extra security. I would highly recommend the Inn. 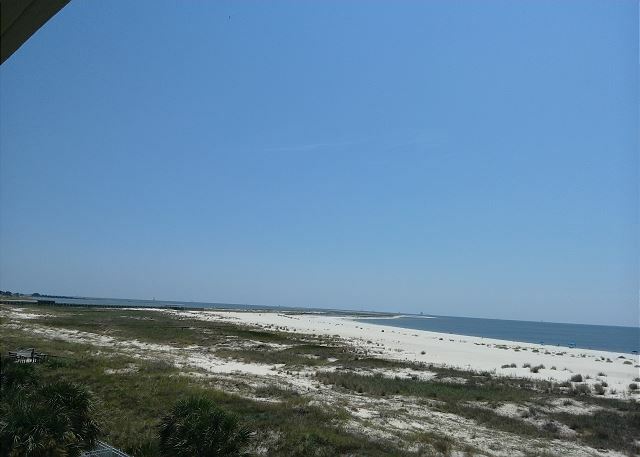 Always enjoy our stay at The Inn on Dauphin Island. 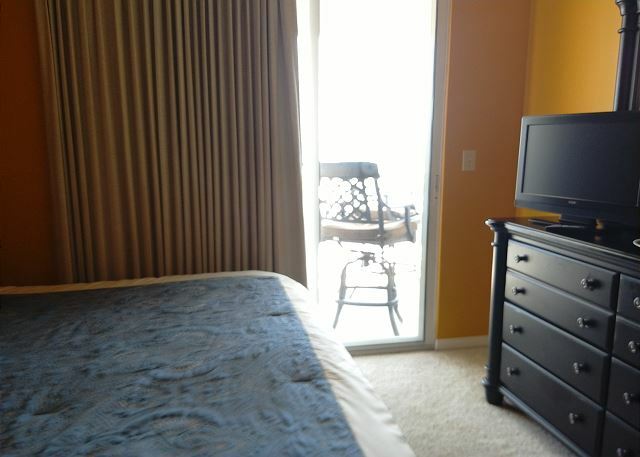 Nicely furnished condo with a beautiful view. 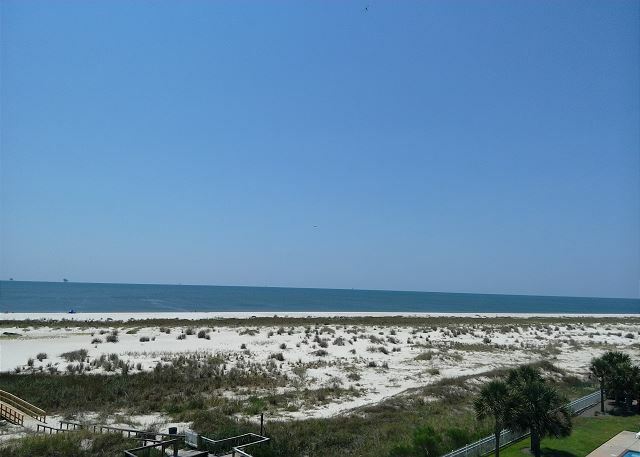 This was our first time to stay on Dauphin Island and we loved it! We'll be returning again for sure. The people were amazing. Everyone treated us like we were old friends. I love this Condo! It has everything you need for a beach vacation already in it. The only drawback is it sleeps 4. I did find out from the desk, they have roll away beds. So, cannot wait to book next year for our growing family! Great place and location was perfect. Highly recommend condo. 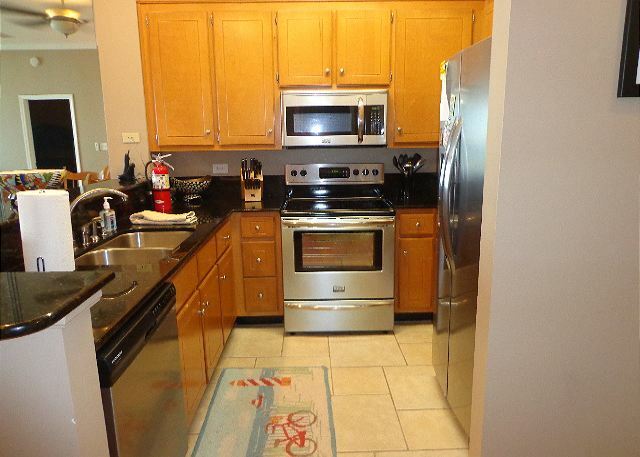 This condo is beautifully decorated with new appliances and living room furniture (newer anyways!). 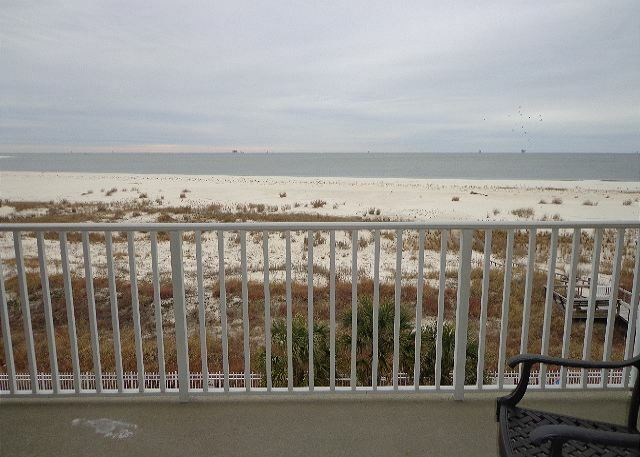 Great view of the gulf from the balcony. One downside; the master bed makes creaking/squeaking noises everytime you move in the bed, that keep you up all night. Probably an easy fix, but DOES need to be fixed. 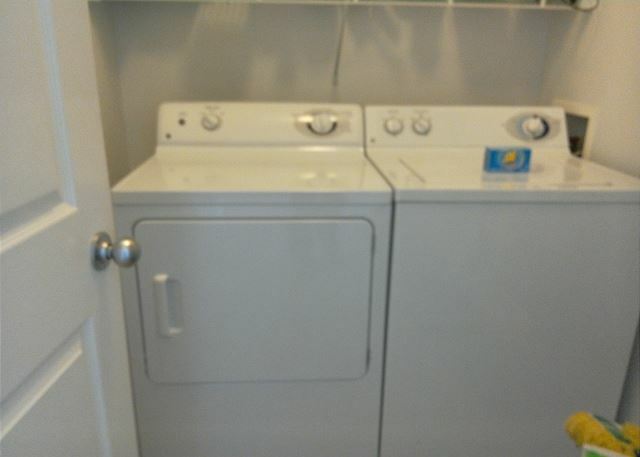 Otherwise, this is a great place, price is reasonable and location is excellent. We would definitely come back. As stated upon my departure, the door stops found on some units are very helpful while loading and unloading. Unit 404 does not have such a doorstop. Bottom sheets that lack elasticity and that do not stay in place are troublesome. I have noticed this in several units, and again, in 404. It is surprising to me that if there is a very deep mattress that the owners do not provide bottom sheets that fit the mattresses. The "doors" on the closets are not workable, and indeed, did not really work. While it is nice to be able to access the whole closet, I found the "doors" inoperable. I liked the refrigerator with water and ice in the door. This was the first time to have such a luxury at the Inn. I liked that there was a broom and dust pan handy. This trip was very laid back. Very secluded island. Make sure your in somewhat shape as it is a hike to the beach. 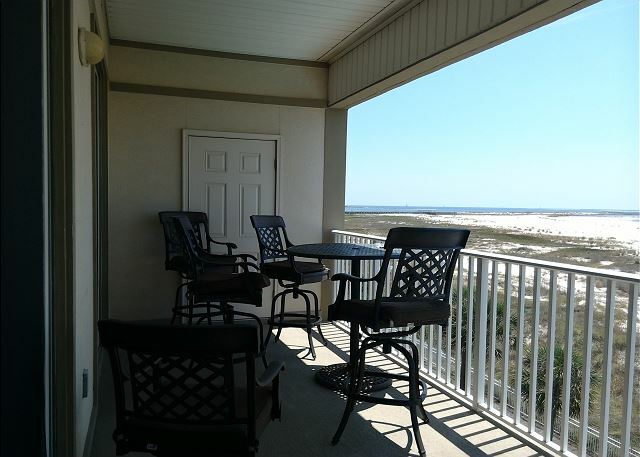 The staff here at Beachfront rentals was extremely nice and very helpful. This was the best vacation our family has ever taken. The unit we stayed in was the perfect location. 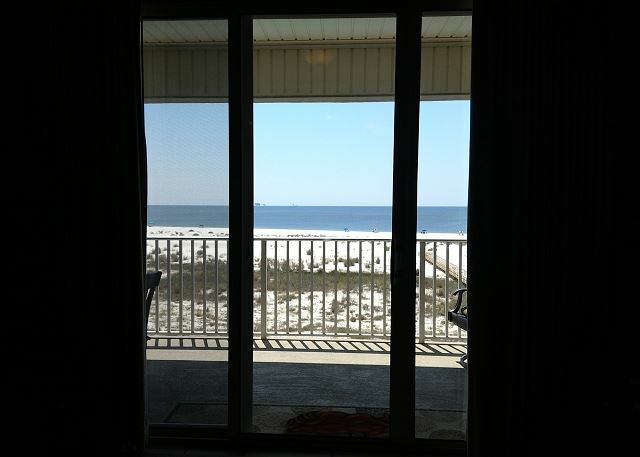 We could see the ocean from our private balcony and whenever we were in the very roomy living room. Everything in the unit worked perfectly, and I particularly liked the hot tub in the master bath! To save a little extra money, we cooked most of our meals, and the kitchen was well stocked. We also ate out at Barnacle Bill's, which was pretty good, but I especially LOVED Skinner's Seafood. You tell them how many pounds of shrimp, potatoes, and corn that you want, and they steam them up for you with just the right amount of Cajun spice. Best shrimp I ever had! The beach was peaceful and serene. I felt as if it was my own private beach! Everyone was very nice and helpful, including the management. I can't wait to return; in fact, I'm already planning it! Thanks so much for a wonderful experience! The condo was very well decorated and had everything we needed. The staff was also very friendly. 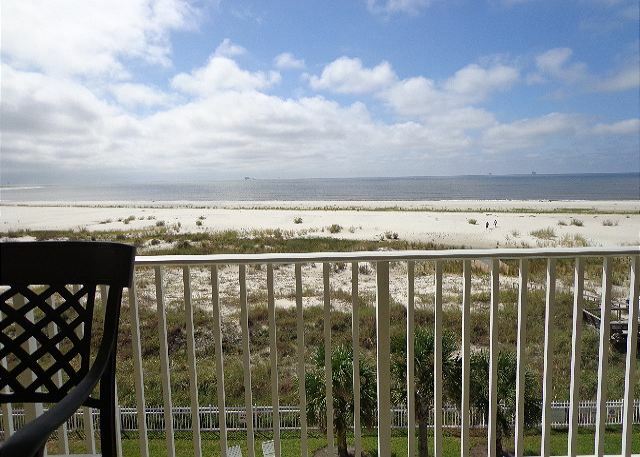 Family went down for the first time to Dauphin Island and stayed at this unit. Very clean and well equipped. Comfortable and relaxing furniture. Everything and more. Pictures don't do this justice. Very nice inside and out. Quiet and peaceful. Had a great trip. My husband and I really enjoyed our stay. The island is beautiful. We enjoyed the peacefulness of it all. Not commercialized and crowded like most beaches. Our condo was great. Very comfortable. Could have a little more attention to cleaning details but generally very good. I would stay again! Great place to visit. The condo was very comfortable. We cooked every night and the kitchen was well stocked.